When a franchise moves from one city to another, it creates a massive identity shift for two different fan bases. One group is essentially a jilted lover and the other is a euphoric new bride. The Dodgers’ leaving is still felt in Brooklyn while San Francisco is still euphoric that the Giants made the move. But there have been many proposed moves and threats to relocate over the years that could have changed baseball. What teams could have moved? What fan base could have been devastated? And how could a fan base, a team and major league baseball have been different if these moves were made? The city of St. Louis had two ball clubs and two very different owners during the late 1940s and early 1950s. The Cardinals were run by Fred Saigh, who bought the team from Sam Breadon. The Redbirds could not match their success from the early and mid 1940s under Saigh’s leadership. Meanwhile the Browns were run by Bill Veeck. He famously brought in midget Eddie Gaedel to bat in a Browns game. He brought in Satchel Paige to pitch. Plus he had the two greatest figures of Cardinals history on the Browns payroll. Rogers Hornsby managed the team and Dizzy Dean was the broadcaster. Veeck knew that St. Louis couldn’t support two teams and seemed determined to make that team the Browns. When Saigh was convicted on tax evasion charges during the 1952 season, out-of-town investors looked to buy the team and move it. However, the Busch family bought the team and pumped Anheuser Busch money into the team. Veeck knew he couldn’t compete with Budweiser, so he looked to move the club to Milwaukee for the 1954 season. But the owners, who never cared for the theatrical Veeck, blocked the move. They also blocked his proposed move to Baltimore until he sold the team to Baltimore investors. If Veeck had sold the team to a Milwaukee investor, the Browns would have returned to their original home. (They played as the Milwaukee Brewers in 1901 and 1902 before moving to St. Louis.) The Braves would have had to find a different home. Maybe they would have been the Baltimore Braves. And maybe the Seattle Pilots would have been given more than a year to survive before heading to Milwaukee. The 1950s were a time when the population was shifting and teams were on the move to take advantage of new markets. And no team needed a change of scenery more than the Senators. The team stank for so long and the very prospect of winning pennant was so preposterous that it was the plot of “Damn Yankees” and involved a deal with the devil. After the Browns became the Orioles in the mid 1950s, the Senators had to share the region. Around that time, non-stop cross country flights made the possibility of major league baseball in California a reality. With Senators patriarch Clark Griffith dead, his nephew took over the team and had images of West Coast glory, glamour and riches dancing in his head. The city of Los Angeles began to court the Senators. The fastest-growing city in the country was going to be a Senators city. The West Coast would go crazy for them. And the courtship continued during the 1956 World Series in Brooklyn. However, when Walter O’Malley got wind that Los Angeles officials were in town, he let them know that his Dodgers would consider Los Angeles as an option in case their stadium proposal fell through. Los Angeles officials saw that they had a chance to bring in a glamorous franchise with superstars. Instead of bringing in Senators like Herb Plews and Jim Lemon, they could import Duke Snider and Pee Wee Reese. When L.A.’s flirtation with the Dodgers intensified, the Senators set their gaze on San Francisco and Seals Stadium. But the Dodgers’ move to California needed a second National League team to go west for approval. So the Giants were persuaded to abandon a move to Minneapolis and head to San Francisco. With the West Coast options dried up (and the possibility of San Diego and Seattle found not viable) the Senators stayed in Washington until the 1961 season, when they moved to Minnesota and became the Twins. But if O’Malley had not leaned that the Los Angeles officials were in town, Harmon Killebrew could have been L.A.’s first baseball superstar… and maybe the Dodgers would still be in Brooklyn. Despite a glorious history, two recent pennants, a World Series title in 1954 and the presence of Willie Mays, the Giants’ time in New York was coming to a close. Their attendance was sagging and the Polo Grounds was crumbling. The most likely spot was to Minneapolis. The city was dying for a major league team and Metropolitan Stadium in Bloomington just needed minor tweaks to be major league ready. And, along with an expected frenzied new fanbase, they were familiar with many of the players including Mays . The Minneapolis Millers were the Giants top farm team and many of the 1954 World Series winners had played in Minnesota. However the Dodgers needed a second team in California to get their move west approved by the league. So with pressure from Walter O’Malley and San Francisco mayor George Christopher, the Giants forsook 10,000 lakes for the Bay Area and Seals Stadium. Perhaps honoring their original intention of a Minnesota move could have blocked the Dodgers from leaving Brooklyn. Either way, the appeal from San Francisco prevented Willie Mays from being one of the most beloved figures in Minnesota sports history. When the A’s left Philadelphia for Missouri, it was a doomed marriage from the start. Owner Arnold Johnson had many ties with the Yankees and the team became essentially a de facto farm club for the Bronx Bombers. Not only did Johnson never have any intention of building a pennant winner, but he seemed ready to move the team almost from the moment it landed. His eyes were on Los Angeles and the potential to have a gigantic market for himself. If he had coordinated with the Griffith family, perhaps the Athletics would have had Los Angeles and the Senators could have ruled San Francisco. Instead the Dodgers took off for Los Angeles. The A’s never got to be the L. A. A’s. Johnson died during 1960 spring training. After Charlie O. Finley took over from the Johnson family in 1960, he vowed to never move the team from Kansas City. Then he almost immediately began shopping the team around. By the end of the 1962 season, he tried to move the A’s to Dallas. The move was denied by his fellow owners. Unfazed, at the end of the 1963 season he had a deal to return big league baseball to Louisville for the first time since the Colonels were disbanded in 1900. Once again, the owners rejected the move. Every year there seemed to be a new landing place for the A’s. One minute he wanted to bring the team to Atlanta. Then San Diego and Seattle wanted a ballclub and had Finley’s ear. And each time he wanted to move, he was rejected. Finally, in 1967, his proposed move to Oakland was approved after Kansas City passed funding for a new park and a replacement expansion team would be rewarded to the city. Once in Oakland starting in 1968, the seeds of a great team were planted. The A’s made the playoffs each year from 1971 to 1975 and became the only team other than the Yankees to win three straight World Series in 1972, 1973 and 1974. But titles did not bring stability. By 1978 the A’s were a shell of their former selves, decimated by bad trades and free agency. Finley once again began to look elsewhere. In 1978 he courted Denver to move the A’s to Mile High Stadium. In 1979, New Orleans and the Superdome were brought into the mix. By the early 1980s, when Finley was going through a divorce, he tried to sell the team to an investor who would move the club to Denver. But when the Raiders announced they were leaving for Los Angeles, the city of Oakland acted quickly to not lose baseball and football at the same time. Oakland would not let Finley out of the Coliseum lease and ultimately forced Finley to sell part of the team. He sold the team to Walter Haas, who kept the team in Oakland, even though he looked at Phoenix as a possible new home for the club. The A’s are currently looking to move out of Oakland again. When the Braves left Milwaukee for Atlanta before the 1966 season, Bud Selig led a group determined to bring a team back to Wisconsin. The most likely candidate was less than 100 miles away. The White Sox played several “home games” in Milwaukee. The result was eye-popping. In just nine games, the Milwaukee schedule made up for nearly a third of the White Sox home attendance. The scenario seemed almost too perfect. The White Sox would travel just two hours north and be close enough to retain their fans in Chicago who were not about to become Cubs fans. And the baseball-starved fans in Milwaukee were eager to embrace a new team. Selig and White Sox owner Arthur Allyn agreed to the deal but the move was blocked by American League owners, who felt it was bad for business to leave Chicago. Selig would later turn his attention to the expansion Pilots, who he turned into the Brewers in 1970. Evidently the American League owners weren’t so concerned about abandoning Seattle. The expansion of 1969 looked like it produced two duds. The Seattle Pilots lasted a single season before going to Milwaukee. The San Diego Padres didn’t look like they were going to fare much better. The team was rotten on the field and the initial excitement for the team died off after a couple of years. But McDonald’s president Ray Kroc outbid Danzansky and took over the team, keeping the Padresin San Diego. Washington would have to wait another 31 years for a big league team to arrive. That would be from the other National League team that was part of the 1969 expansion, the Montreal Expos. The abrupt move of the Pilots from Seattle to Milwaukee set up an odd chain of events that nearly disrupted the American League forever. Washington state attorney general Slade Gordon sued the American League for a breach of contract after the Pilots left. The suit expedited a return of big league baseball to the Northwest. But what team would fill the void and use the new multipurpose Kingdome as its home? The White Sox, who still were failing to draw a crowd, looked like a prime candidate to move. But the American League wanted a presence in Chicago. A’s owner Finley, always looking for a new home, considered moving the A’s to Comiskey Park and allowing the White Sox to head for the Pacific Northwest. (Why didn’t Finley just move the A’s north? I guess we’ll never know. The move fell apart and a year later, the American League created the Seattle Mariners. The idea of Reggie Jackson and Rollie Fingers playing in Chicago will have to remain simply an idea. The Giants’ move to San Francisco had brought some of the greatest players in baseball history. They also played in one of the most unpleasant ballparks in the game on Candlestick Point. And by the mid 1970s, Mays, Gaylord Perry and even Willie McCovey were all long gone and the team was in near bankruptcy. Giants owner Horace Stoneham was looking to sell and found a group of investors from the Labbtt’s Breweries. A Superior Court judge blocked the sale and Bob Lurie offered the Giants a new deal. It was for less money than the Canadians were offering, but part of the Labatt’s offer included buying out the lease for Candlestick Park. Such a buyout would not be needed if Lurie kept the team in San Francisco. They would not become Canada’s team. The next year the Blue Jays were formed in Toronto. And around the time they moved into the luxurious SkyDome, Bob Lurie would be looking to get out of Candlestick. There would be one more potential move for the Giants. During the mid 1980s, the White Sox again were looking to move. The Cubs had a national audience thanks to WGN cable. And after Wrigley Field finally was fitted with lights in 1988, they were clobbering the South Siders at the box office. A city that had superstars like Michael Jordan, Walter Payton and Andre Dawson just didn’t have enough room for a second baseball team in a crumbling stadium. Hoping to lure a big league franchise to the Sun Coast, the city of St. Petersburg built the Suncoast Dome in 1986. The White Sox seemed like the most likely tenant as the city of Chicago and the state of Illinois did not want any part in building a new park on the South Side of Chicago. The White Sox looked ready to tap into a potentially lucrative Floridia market. But lobbyists in Illinois pushed for ballpark funding and in 1989 the White Sox were officially going to get a new home. The park, originally called New Comiskey Park and now called U.S. Cellular Field, opened in 1991. It is kind of a bland ballpark compared to Camden Yards which opened the next year. Chicago built it just before the whole retropark craze began. St. Pete remained without a team for almost another decade. After more than a decade and a half of uninspired baseball, the Giants won the 1987 division title and the 1989 National League pennant. 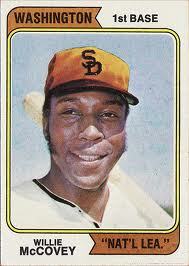 But those triumphs could not mask the fact that Candlestick Park was an awful place to play and watch a game. Lurie may have saved the team from moving to Toronto a decade before, but the team’s problems remained. When ballot measures for a new stadium in San Francisco failed in the ’80s and ’90s and proposed sites in San Jose and Santa Clara also fell apart, it looked like the Giants were doomed in the Bay Area. Vince Naimoli led a group of Tampa Bay investors who wanted to put a major league team in the vacant Suncoast Dome (now Tropicana Field). The Giants move seemed all but certain for the 1993 season. A “Welcome Giants” rally was held in St. Petersburg and San Francisco fans were bringing “Don’t Go!” signs to the half empty Candlestick. But when the National League owners didn’t approve the move, Lurie sold the team to Safeway CEO Peter Magowan, who vowed to keep the team in San Francisco. Magowan knew he needed to make a big move to appease the hurt San Francisco fans. So he opened up his checkbook and brought in free agent Barry Bonds and the 1993 Giants won 103 games. Had the National League not blocked the move, the Giants would be stuck in a dome in Western Florida, the A’s would have the Bay Area all to themselves and China Basin would just be another place to row a boat. And who knows where Bonds would have ended up. When Twins owner Carl Pohlad could not get a new stadium built in Minneapolis, he looked to move on and sell the team to North Carolina businessman Don Beaver. Charlotte seemed like a ripe market in the 1990s to put a baseball team. The Hornets tested the waters for the NBA. The expansion Panthers were successful in the NFL and a proposed sports center would have included a baseball stadium. However, a backlash from the city against public money for stadium construction halted any Charlotte ballpark in its tracks. Instead Beaver had his eyes set on what is known as The Piedmont Triad, which is the area that includes Greensboro, Winston-Salem and High Point. (And close to Durham and the symbol of minor league baseball for many movie-goers.) The region had an NHL hockey team with the Hurricanes and the thought was that the area would support a baseball team and still get TV revenue from Charlotte. The hope for a tax-funded stadium fell through, as did the hope of major league baseball in the Carolinas. Beaver did wind up buying the Charlotte Knights Triple-A team. The Twins remained in Minnesota and despite contraction and relocation rumors, they finally got their new ballpark, Target Field, in 2010. When the Expos escaped the specter of contraction, they still faced major problems. They had no owner, no money and no potential to stay in the disastrous Stade Olympique. Baseball could have thrived in Montreal, but the post-strike years and the Loria management destroyed any hope. Even as the Expos were contending for a wild card spot in 2002 and 2003 and posting winning records, they had to move. The problem was there were few viable options. Actually there was only one: Washington, D.C. The nation’s capital had been without a team for more than 30 years and had a major league stadium sitting there unused in RFK. Everyone on the planet knew, starting in 2002 when Major League Baseball took over the Expos, that the team needed to move to Washington. Keeping the move from happening was Orioles owner Peter Angelos. Much of the Orioles’ fan base came from D.C. and an interloper would cut into his revenues. He promised to sue baseball if the Expos encroached in his territory. Baseball had expanded by four teams since 1993 and never put a team in Washington. So basically baseball put on a charade of other towns that could be considered. 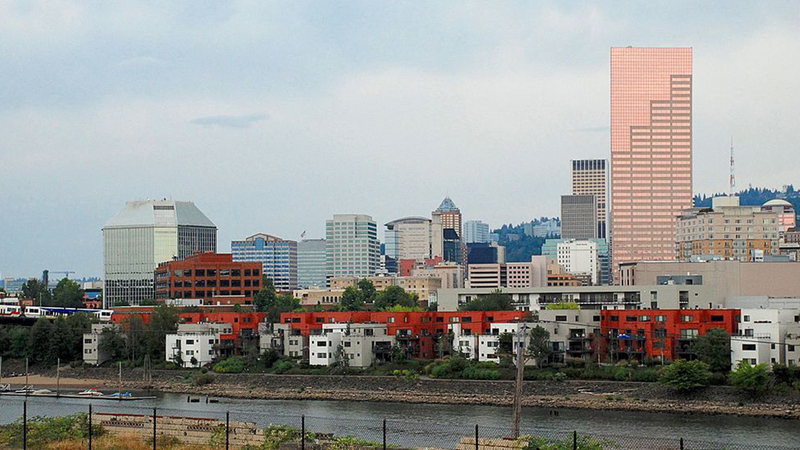 Portland offered a design that didn’t have a roof, a cinch for 40 rainouts a year in Oregon. Monterrey, Mexico was insanely offered as a possibility. One of the chief problems that Montreal had was trying to lure players into a foreign market. If they didn’t want to go to Canada, why would they go to Mexico? Baseball tried to work around the Baltimore problem and still draw D.C., fans by investigating Northern Virginia and Norfolk. Ridiculously, the New Jersey Meadowlands was rumored to be an option. If the Orioles had the resources to sue, imagine what the Yankees and Mets would have at their disposal. Finally the staring contest ended and a settlement was reached with the Angelos family. The Expos became the Washington Nationals in 2005. The deal could have been made three years earlier and saved baseball the humiliation of running a team in Montreal playing in front of nobody. Had a factor here or there had gone differently, the whole structure of both leagues would have been different. Not better, but different. There are probably some more I didn’t catch. There’s a prequel to the 1954 Browns to Milwaukee attempt. How about the Milwaukee Cardinals? Also, anecdotally, I remember the Tigers always thrown into to rumors of moving to Tampa Bay in the late ‘80s, as well. Regarding New Comiskey (I refuse to call it U.S. Cellular), it was an ugly ballpark its first few years. It looks much improved since they did the major renovations. I remember reading once that the Browns had also considered moving to Staten Island at one time (though I can’t find anything of the sort on the fancy Google). It stuck with me thinking about how each borough could’ve had their own team. It always struck me odd when I was younger that teams like the Braves, Browns and A’s would move to Kansas City, Baltimore and Milwaukee and NOT Los Angeles and San Francisco. I had never read about the Staten Island Browns. I tried my best to keep this article about moves that were actually in discussion as opposed to moves that were rumored or floated out as possbilities. Yep, without fast, reliable, and affordable commercial jet airplane service, it would have been a significant logistical challenge. I think it was in 1955 that the airlines began introducing long-distance jets, and once that happened, the PCL’s death knell as a potential third major league began. If the Braves held on for just a few more years in Boston they could have been the team in Los Angeles! No Milwaukee Brewers in 1902 – that was their first year in St. Louis; one of their best seasons ever, as it turned out. The Rays draw 18,000/game with a good team and regular visits by the Yankees and Red Sox. The White Sox draw 23,000/game with a dissappoining team. The Rays haven’t outdrawn the White Sox in any of the last ten years. MLB clearly overestimated the Florida market and Jerry Reinsdorf probably thanks his lucky stars and the Illinois legislature that he never followed through on that threat. Owner at the time Jeff Smulyan wanted to move the Mariners to Tampa in 1993. They nearly left again in 1995 but the miracle run and the state overturning the vote brought us Safeco Field. We nearly lost our team twice. In a book (Veeck as in Wreck?) Bill Veeck discussed how he bought the Browns understanding that St. Louis could only support one team, and he made it his mission to drive the Cardinals out, even if it meant doing some things (lower ticket prices?) that hurt the Browns in the short run also. Both teams weresimultaneously trying to hold out longer than the other and look for an out-of-town option. At some point, Anheuser-Busch stepped in to buy the Cardinals and Veeck realized that the Browns had to move. At least that was the story he told. It gave us NL fans in Massachusetts something to talk about for a few weeks, if nothing else. Paul mentioned he tried not to include moves that were just rumored, but apparently before Busch moved in the Cardinals were also strongly looking at moving to Houston, along with considering the Milwaukee move. I remember the talk of the Yankees moving to the Meadlowlands. In the late ‘80s a site plan was developed to build a ballpark for the Yankees across the highway from Giants Stadium in the Meadowlands. There’s a Medieval Times thing there now. And I feel like I’ve heard several times that when looking over plans for New Comiskey, the White Sox were shown the actual design of Camden Yards (minus the warehouse, of course) as an option. But they rejected what became Oriole Park, thinking fans didn’t want a ballpark that looked old; they wanted new, big, shiny, modern. Whoops. I still remember seeing “Florida White Sox” T-shirts for sale in stores. I wish I had bought one! After the Dodgers and Giants left for California after the 1957 season, weren’t there rumors of either the Reds or the Phillies moving to New York? Rays were to play some home Games in Orlando and should of got a team before Tampa Bay did.